Which Human Rights Org is Launching a New App to Protect Iranian Women from Abuse? 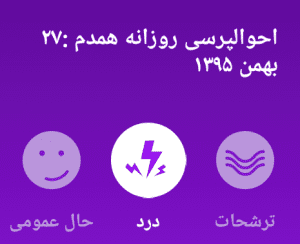 Screenshot from Toranj, a new app that helps women who are victims of domestic violence. Author Kiersten MarekPosted on April 17, 2017 Categories Civil Society, Human Rights, Political Struggle, Women and Girls of ColorLeave a comment on Which Human Rights Org is Launching a New App to Protect Iranian Women from Abuse? In nature, circles emanate from an invisible source at the center which creates a spiral motion. 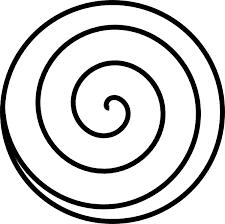 This spiral creates a pattern of expansion and contraction, as you see in seashells, tornadoes, and in galaxies and throughout the micro and macro designs of our world. Emily: The circle is one of those timeless symbols—one that appears in nature, in mathematics, and in art of all kinds—that says something wise and true about the world. It is also a unique symbol, we think, for what philanthropy is all about. Philanthropy on one level is about giving money away. Often if can feel sort of linear and transactional from a top-down grid: people with social capital at the top doling out largesse and using fancy sounding words about “scale” and “strategy” in an attempt to help the needy. But today, a powerful movement is on the rise in philanthropy to leave the pyramid of noblesse oblige in the last century and become more democratic. This new concept is about empowering a community to make change from within. To me, it feels very circular and connective, like the processes of change you see in nature. 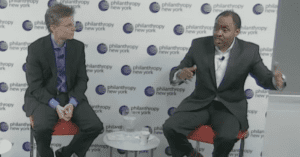 On a bright April Thursday morning in New York City, David Callahan and Emmett Carson took each other on in a “spirited debate” about the future of philanthropy. In particular, they differed in opinion about whether there are dangers to the lack of transparency and accountability for the new billionaire class. Discussion time was given to some very rich (no pun intended) topics, including the influence of philanthropy on health care. 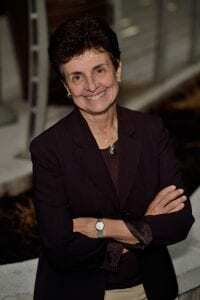 Callahan discussed a section from his book that shows how right-wing billionaires have essentially used philanthropy to ensure that they win court battles, such as the court battle which allowed states to opt out of Obamacare. This is the kind of civic inequality that Callahan calls out in The Givers as a dangerous new way philanthropy can be used for political gain. The NoVo Foundation has convened a series of listening tours to develop its new strategy for girls of color. Big News: The NoVo Foundation has narrowed down the scope of its focus for its $90 million in funding to empower girls of color, and the funder is now seeking regional partners to provide support to community agencies doing work for gender equality. NoVo is currently opening up RFP applications for community-based organizations in the U.S. Southeast to get grants for helping girls of color. This decision was based on the outcome of a year-long listening tour across the country with girls of color, movement leaders, and organizers. During that time, NoVo employed its strategy of getting feedback and solutions directly “defined and driven by girls and women of color” in order to maximize impact for this population. Good morning! We are livestreaming a debate between Emmett Carson, President of the Silicon Valley Community Foundation, and David Callahan, Founder and Editor of Inside Philanthropy. A new report out of The Netherlands questions whether civil society is headed for shrinkage. Am I being watched by the government? Am I the kind of activist/writer who might get detained and questioned at the US border? Across the world, activists and social justice leaders are asking themselves scary questions about what the many repressive events of recent days portend for their safety and security, and for political struggle worldwide. A new report from the Transnational Institute (TNI) in Amsterdam makes the point that civil society may be shrinking in the coming years, as we face increasing barriers to movement-building from government. 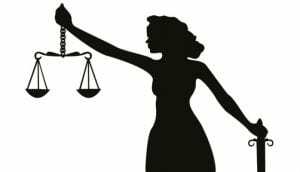 More Philanthropy To Fix Marriage Laws That Hurt Women and Girls? Yes, Please! 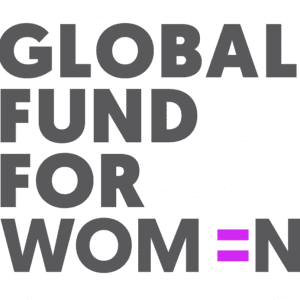 Global Fund for Women is one of the major organizations working to end child marriage. Progress for women is gradual in a world where an estimated 15 million girls are sold into marriage. In developing nations, the situation is even worse. According to the UNFPA, an estimated “one in three girls is married before reaching age 18. One in nine is married under age 15.” Among other scary news on child marriage is this recent report that child marriages are on the rise in Syria. There are several funders paying close attention to the problem of child marriage. These include Kendeda, which has committed over $31 million in this arena in recent years, and provides support for Human Rights Watch, the Global Fund for Women, and Girls Not Brides. The Ford Foundation also does some significant work in this area, and The NoVo Foundation is also committed to the cause of ending child marriage. 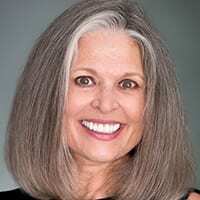 Author Kiersten MarekPosted on April 11, 2017 April 11, 2017 Categories Community Foundations, Global Philanthropy, Large Foundations, Women and Girls of Color, Women's FundsLeave a comment on More Philanthropy To Fix Marriage Laws That Hurt Women and Girls? Yes, Please! 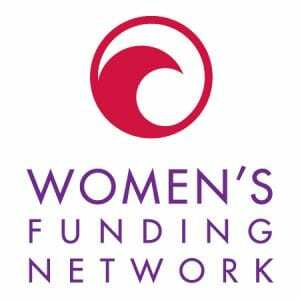 Women’s funds today are using a range of strategies to build economic security for women and families. By lending capital to women’s small businesses, many women’s funds are helping women build their own financial security — an important step in advancing the frontiers of gender equality. In the world of philanthropy, it’s a little unusual to hear about a public debate between high level professionals. We have a lot of panel discussions, and not so many debates. But Philanthropy New York (PNY) clearly has other ideas. In this corner, we have David Callahan, Founder and Publisher of Inside Philanthropy, and author of the forthcoming title, The Givers, a riveting text that makes you question everything you know about philanthropy, and which lands squarely on the side of tightening up taxation and regulation of the rich. Furthermore, it makes you want to run laps around the block to vent your rage at the rampant inequality in today’s world. It gives me great pleasure to announce that Philanthropy Women has secured its first two lead sponsors, and hopes to bring on at least eight more by year’s end. Needless to say, it is the dream of a lifetime for me to be able to write and publish on such an important topic. I am excited to begin hiring more writers and scaling up. Our lead sponsors both possess unique expertise in the world of women’s philanthropy, so their added value is compounded mightily by their own dedication to building new ways to fund gender equity in the world. Please join me in thanking them for believing in the vision of Philanthropy Women, and for supporting more quality media by, for, and about women.